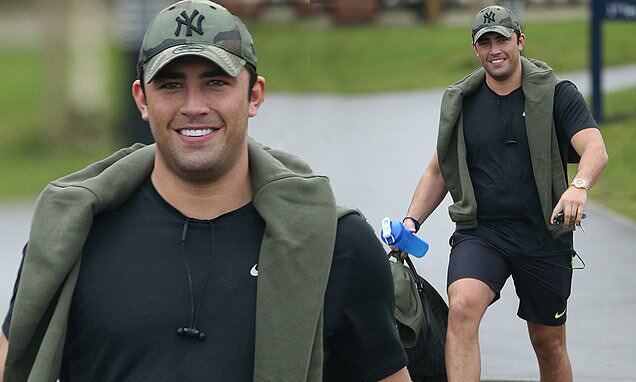 Jack Fincham flashed a beaming smile as he hit the gym on Wednesday. The much-loved Love Island star is no doubt doing his best to keep a positive mindset after what has been a difficult few days. Days before, the 27-year-old revealed he abused cocaine on a night out and its since been claimed his girlfriend Dani Dyer, 23, has moved out of their home. Dani has, however, showed her support for Jack publicly, saying that her family, including dad Danny, 'love and support' him. Just over a week ago, Jack caved in to temptation after an all-night 'blowout' that lead to him guzzling alcohol and cocaine. On Tuesday, Jack admitted to the drug binge in an interview with The Sun, and that same day Dani's parents were seen moving her belongings out of their shared flat. Whilst she has yet to address the scandal directly, Dani took to Instagram on Tuesday with school children in Tanzania captioned: 'Keep smiling girls, always keep smiling'.